CLEVELAND, OH (WOIO) - Several websites and apps are targeting swing state voters to trade their votes in order to elect Hillary Clinton. Two voters who have used, or plan to use, vote swapping sites to swap a vote for a third-party candidate with a vote for Hillary Clinton. It works like this, two voters, one in a swing state who wants to vote for a third party candidate and one in a safe state who wants Hillary Clinton to win, agree to swap their votes. It's all based on the honor system, and it's legal basically because of that. There's no contract, no real commitment and as long as no voter is compensated or coerced it's all above board. This is the first presidential election Sophie Warner will be able to vote in. The Cleveland State University student said her views line up perfectly with one candidate – Jill Stein. "Jill Stein has some really great ideas and I want them to be known," said Warner. "I want third party candidates to have a voice to actually be able to participate in debates." Warner said her goal in voting for Stein would be for the Green party to receive five percent of the popular vote and the federal campaign funding that goes along with it. She did see some drawback to casting that ballot in a swing state. "I've talked with friends about it, like I feel like I'd almost be throwing my vote away in some way," said Warner. She said her overall goal is for Donald Trump not to win the presidency, so she saw vote trading as the perfect option for her. "This is just so perfect. I'm able to do both. I'm able to help a state that's a swing state I was just so thrilled," said Warner. Warner said she was matched on the Trump Traders App with a voter who said he lives in California. She said she will now vote for Hillary Clinton in Ohio, and trust that a complete stranger will cast his ballot for Stein. Warner explained how she believes she can trust that the Green vote will go through. "I guess I kind of had a little hiccup that might make it obvious that I really could trust somebody because the first person I was matched with actually told me that she had already mailed in her vote for Hillary Clinton. She was very up front about it, she was like 'I'm sorry I had already sent in my vote I apologize' she just told me. And that just made me feel like I could trust even more," said Warner. A federal court has ruled that it is protected by the First Amendment. The Ohio Secretary of State's office also said it is legal. 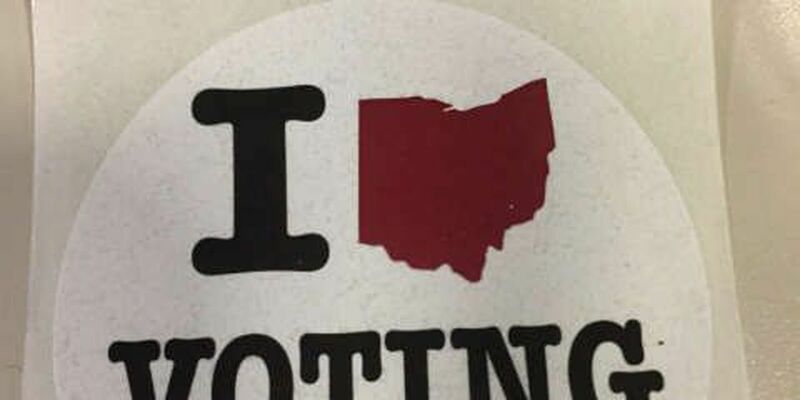 Joshua Eck, the press secretary for Ohio Secretary of State Jon Husted said it's legal, as long as voters aren't coerced or compensated for casting their ballot. "Every person's vote is their own to make so however you come to the conclusion on how you're going to cast your ballot it's your right to do so" said Eck. Eck also said he thought it was worth noting that he doesn't think a significant number of people are vote trading, but "the way you get to your decision on how to cast your ballot is completely your business." It's definitely strange — even the Republican who started the site this year agrees on that. "[Trump] has created an environment that is so extraordinary that you have Republicans and Jill Stein supporters on the same side," said John Stubbs. Stubbs said he is a Republican who even worked in George W. Bush's administration. He said that he never anticipated ever casting a ballot for Hillary Clinton. "Like many Republicans this year we're confronted with a nominee who does not reflect our principles, our values, and is frankly not a Republican," said Stubbs. There were several sites back then, but they were shut down after being threatened with legal action by the California Attorney General. A federal court eventually ruled in favor of the websites, saying that they were protected by the First Amendment. Stubbs said he thinks this round of vote swapping attempts will be more successful than previous years because technology is better and ubiquitous. He said that 10,000 people have signed up in just a few days. Although the organized movement to vote trade during this election seems to be united against Trump, there's nothing to stop people on the other side from doing the same thing. "A vote in Ohio matters more in this year as in other years. It's a purple state, it's one that has a big population, so a lot of electoral votes and it's important for voters around the country to understand that the electoral college influences the election," said Stubbs. There has been criticism on the idea from both parties. There are questions if vote trading is not "voting strategically" like Stubbs said but rather cheating the system. Those voting for Clinton said the popular vote needs to be high in every state in order to send a message. Stubbs said he doesn't anticipate participating in the next election in this way. "Vote trading is not something that would exist in every election cycle. It wouldn't make any sense at all. It only makes sense because Trump has uniquely aligned Stein voters with Republicans and Gary Johnson supporters. If you believe that he's the dead last worst option this makes sense."